A University of Ulster optometry lecturer has been elected president of the prestigious European Council of Optometry and Optics (ECOO), an organisation which represents the interests of over 75,000 optometrists and opticians from 27 countries. 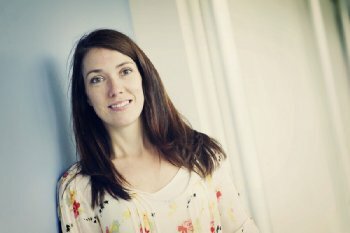 Dr Julie-Anne Little, who is based at the School of Biomedical Sciences at Ulster’s Coleraine campus, was elected at the ECOO’s general assembly meeting in Gothenburg. She will serve as president for two years. Dr Little has a keen interest in the optometric profession and is a councillor for the Northern Ireland area with the Association of Optometrists in the UK. Through the association, she was appointed as a UK representative at the European Council of Optometry and Optics (ECOO) and the World Council of Optometry (WCO) since 2006. In her inaugural address as President, Dr Little said optometry and optics professionals faced challenges and opportunities, both clinical and commercial, and stressed the value of lobbying at the European level in Brussels. “ECOO is a united voice for eye care across Europe and the profession has already benefited from the ECOO Brussels-based secretariat and its expertise in European affairs,” she said. Setting out her objectives for her term of office, Dr Little said she planned to consolidate the significant progress that ECOO had made regarding the accreditation of schools of optometry throughout Europe and to raise the profile of the organisation to make it more outward looking. She continued: “At the heart of the ECOO are its member countries and I want to ensure that we continue to support members to develop optometry and optics throughout Europe. Dr Little’s research interests include the developing visual system and the impact of intellectual disability on vision. She is a member of the University’s Paediatric Vision Research group. Congratulating Dr Little on her appointment, Professor Neville McClenaghan, Head of the School of Biomedical Sciences, said: “This is a remarkable achievement and a superb external recognition of Dr Little’s talents by the optometry and optical professions in Europe.